From the day it opened in 1905, the Hotel Winneshiek set a standard for elegance in eastern Iowa, and it was our job to give this unique property a visual and brand identity, website and signage worthy of that heritage. Our new visual identity for the Winneshiek incorporated a graphic element dating back decades, and paired it with timeless typography. 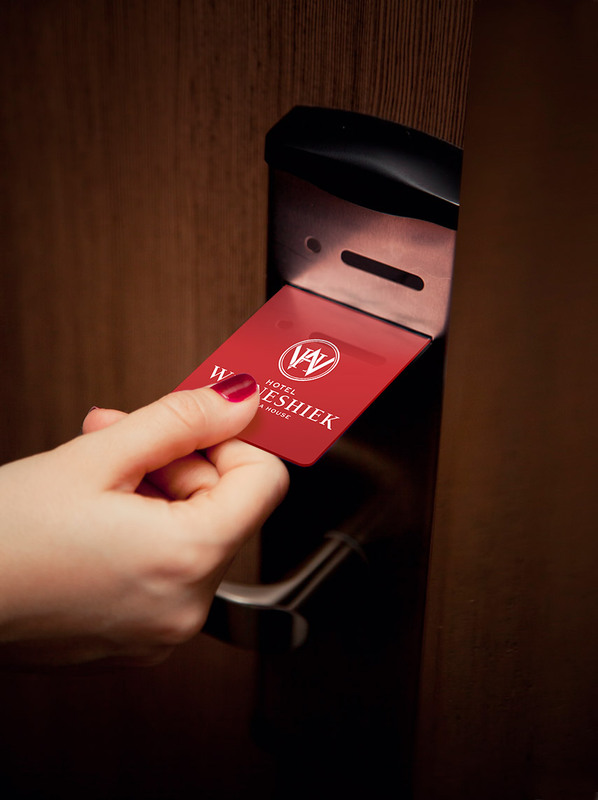 Branding expended across guest touchpoints, including room keys. New exterior signage fits with the building’s current façade, and will be updated when exterior renovations are undertaken. The Hotel Winneshiek’s website communicates the hotel’s distinctive identity while connecting it to the owner’s sister properties. The Winn website now offers full functionality to mobile users. 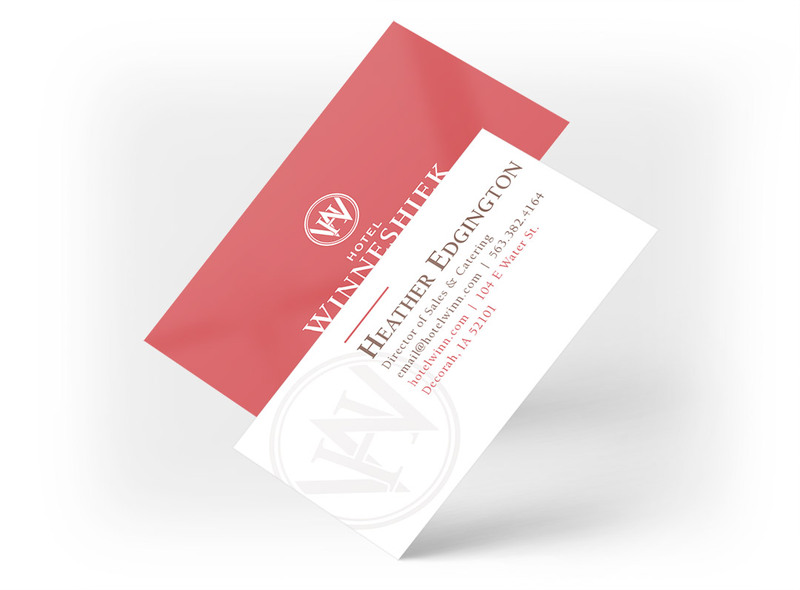 The Winn’s identity system extends to business cards.